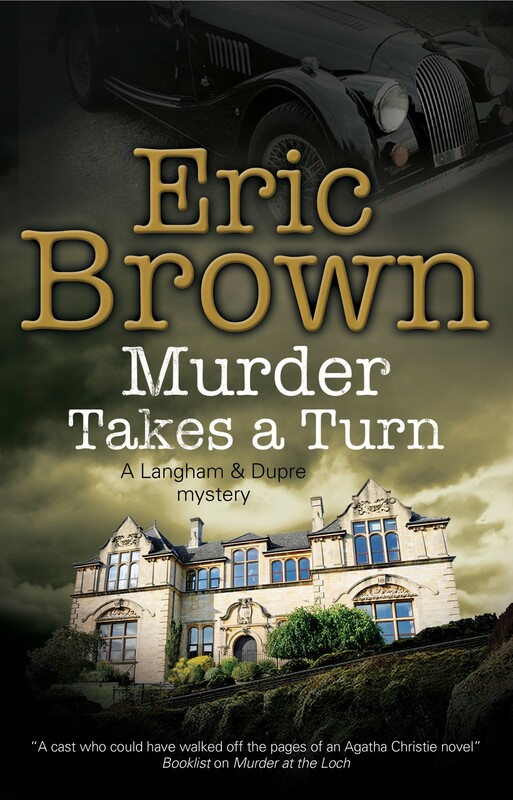 Murder Takes A Turn is the fifth novel in the Langham and Dupré series. After surviving a catastrophic starship blow-out, Delia Kemp finds herself stranded on the inhospitable, ice-bound world of Valinda, populated by the Skelt, a race of hostile aliens who will stop at nothing to obtain Delia’s scientific knowledge. Escaping from the Skelt – assisted by a friendly chimpanzee-like alien and a giant spider-crab – she travels south through a phantasmagorical landscape as the long winter comes to an end and the short, blistering summer approaches. Pursued by the Skelt, she and her companions make a death-defying dash across the planet’s inimical equator to meet up with fellow survivors from the starship, and a final journey to the valley of Mahkanda – where salvation just might be awaiting. 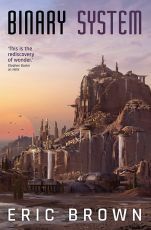 Binary System is a thrilling action-adventure novel in the spirit of Jack Vance’s Planet of Adventure. Feisty Jani Chatterjee and her stalwart companions Lieutenant Alfie Littlebody and Anand Doshi find themselves chased from India to London by the British authorities, Russian spies and a Hindu priest – who all want what Jani carries, the ventha-di: the key that will open a portal to other worlds. In London she attempts to rescue the imprisoned alien Mahran – the only person who might help her save the Earth from the invasion of the merciless Zhell, the self-styled Masters of the Cosmos. But will she escape London and reach Tibet before the forces of evil capture her – and before she is betrayed by someone she considers loyal to her cause? 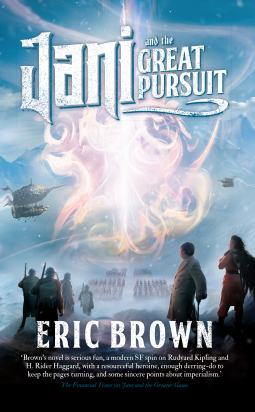 Jani and the Great Pursuit is the thrilling sequel to Eric Brown’s Jani and the Greater Game. July, 1955. 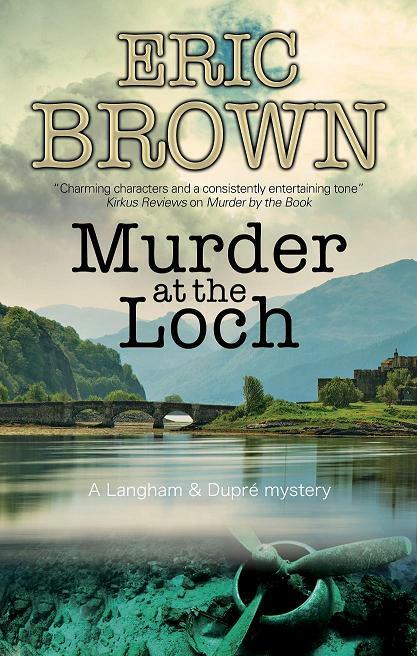 Crime writer Donald Langham has interrupted his romantic break in rural Suffolk with the delectable Maria Dupré to assist a fellow author. 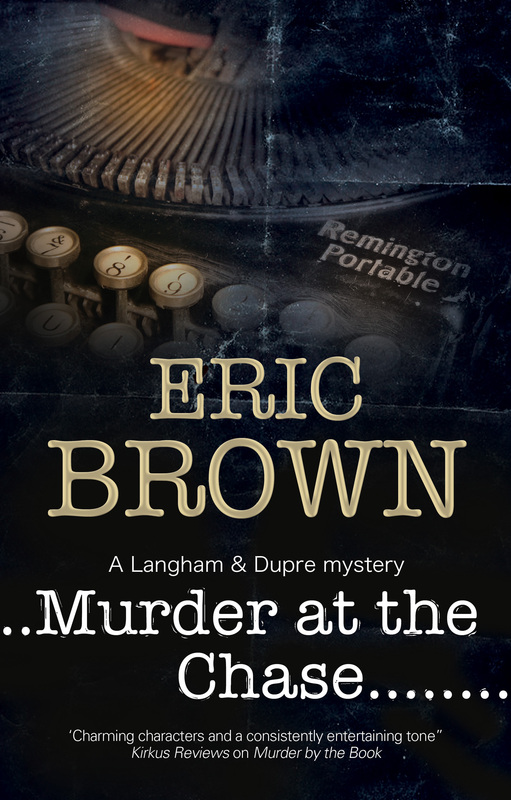 Alasdair Endicott has requested Langham’s help in discovering what’s happened to his father, Edward, who seems to have disappeared without trace from inside his locked study. Before he vanished, the elder Endciott had been researching a book on the notorious Satanist Vivian Stafford. Could the proposed biography have something to do with his disappearance? Does local resident Stafford truly possess supernatural powers, as some believe? It’s 1925 and the British rule the subcontinent with an iron fist – and with strange technology fueled by a power source known as Annapurnite – discovered in the foothills of Mount Annapurna. But they rule at the constant cost of their enemies, mainly the Russian and the Chinese, attempting to learn the secret of this technology… This political confrontation is known as The Greater Game. Into this conflict is pitched eighteen year old Janisha Chatterjee who discovers a strange device which leads her into the foothills of the Himalayas. When Russians spies and the evil priest Durja Das find out about the device, the chase is on to apprehend Janisha before she can reach the Himalayas. There she will learn the secret behind Annapurnite, and what she learns will change the destiny of the world for ever. 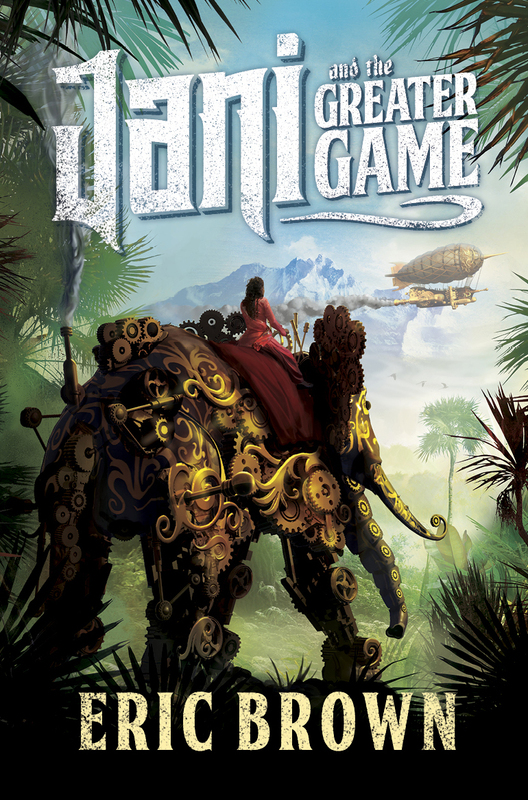 Jani and The Greater Game is the first book in a rip-roaring, spice-laden, steampunk action adventure series set in an exotic India and featuring a feisty heroine who subverts all the norms. When Salvageman Ed saves Ella Rodriguez from spider-drones on the pleasure planet of Sinclair’s Landfall, he has no idea what he’s letting himself in for. Ella is not what she seems, as he’s soon about to find out. What follows, as the spider-drones and the Hayakawa Organisation chase Ed, Ella, and engineer Karrie light-years across space, is a fast-paced adventure with Ed learning more about Ella – and about himself – than he ever expected. 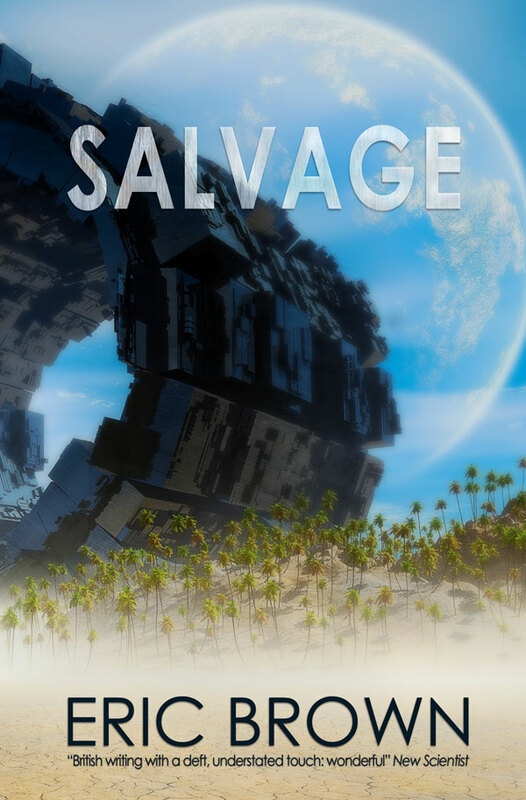 The Salvageman Ed series of linked stories – four of which appear here for the first time – combine action, humour, romance and pathos… as well as aliens, AIs, lasers and much, much more. I had great fun writing these stories over a period of four or five years. Last year I assembled the eleven sections, cut and polished and got rid of all the repetitions – as well as dropping one story altogether – and the result is the fix-up novel Salvage. Telepath Den Harper did the dirty work for the authoritarian Expansion, reading the minds of criminals, spies and undesirables. Unable to take the strain, he stole a starship and headed into the unknown, a sector of lawless space known as Satan’s Reach. 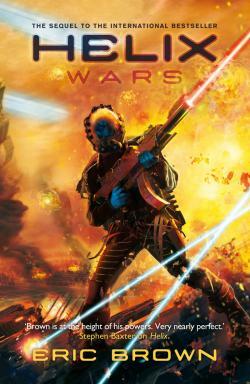 For five years he worked as a trader among the stars – then discovered that the Expansion had set a bounty hunter on his trail. But what does the Expansion want with a lowly telepath like Harper? Is there validity in the rumours that human space is being invaded by aliens from another realm? Harper finds out the answer to both these questions when he rescues an orphan girl from certain death – and comes face to face with the dreaded aliens known as the Weird. Satan’s Reach is the second volume in the Weird Space series, a fast-paced action-adventure that pits humanity against the unimaginable Terror from Beyond. It’s 2025 and the world is torn by war, terrorist attacks, poverty and increasingly desperate demands for water, oil, and natural resources. 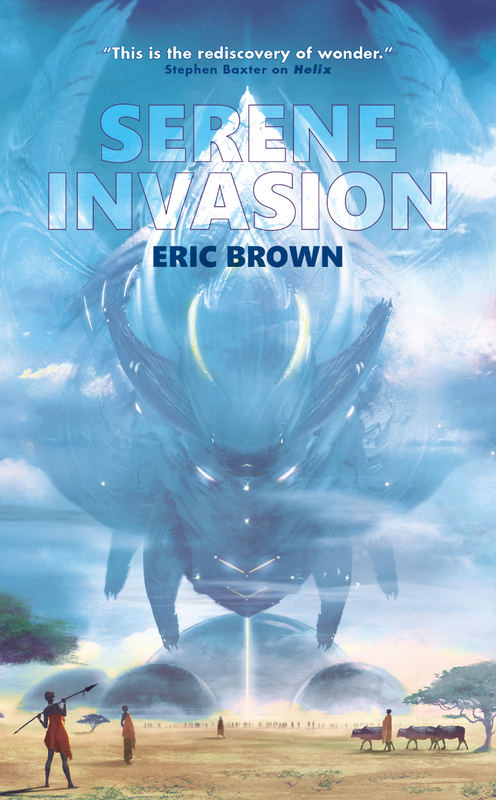 The West and China confront each other over an inseparable ideological divide, each desperate to sustain their future… Then an alien race called the Serene come to Earth and bring an end to poverty and violence – but not everyone supports the seemingly benign invasion. There are forces out there who wish to return to the bad old days, and will stop at nothing to oppose the Serene. I wrote The Serene Invasion as an antidote (for me) to the unceasing news from around the world of violence, wars and terrorism. What, I mused, if an alien race were to arrive on Earth and render us incapable of doing violence to each other? What kind of world would planet Earth be then? And how might we respond? The Serene Invasion is the result. London, 1955. 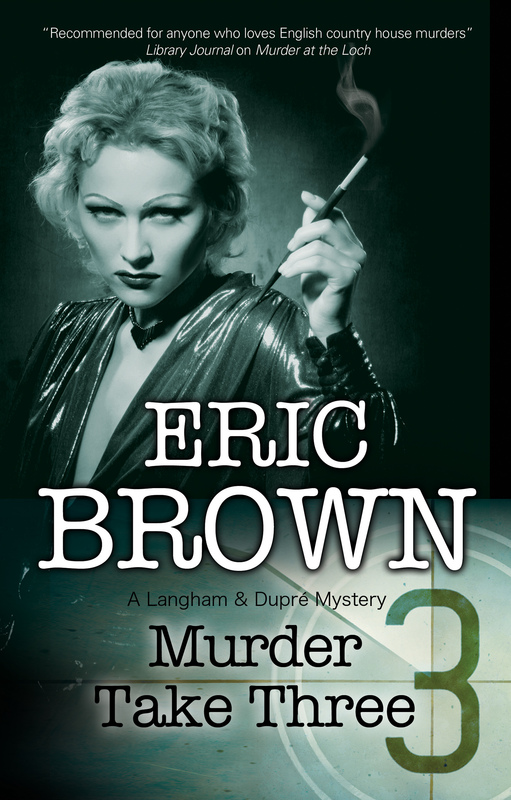 When crime writer Donald Langham’s literary agent asks for his help in sorting out ‘a delicate matter’, little does Langham realize what he’s getting himself into. 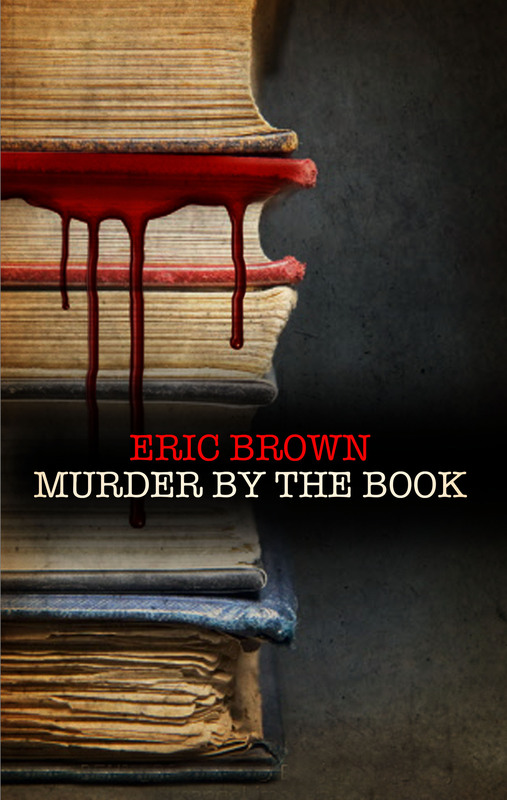 For a nasty case of blackmail leads inexorably to murder as London’s literary establishment is rocked by a series of increasingly bizarre deaths. 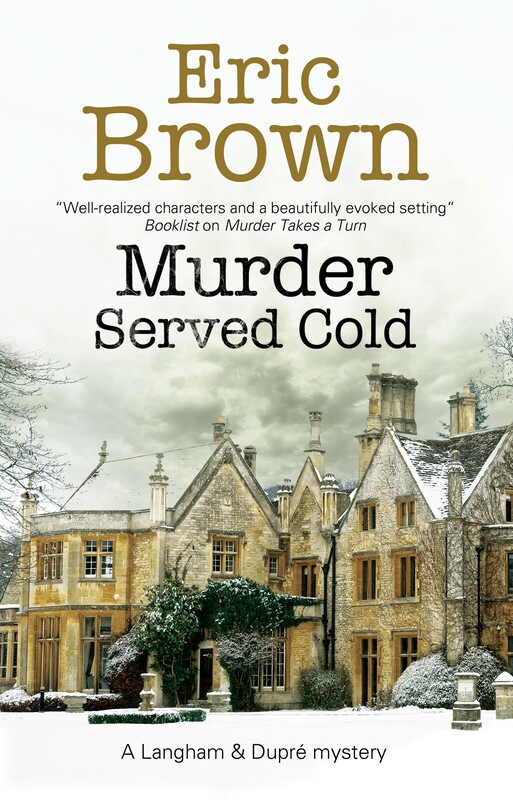 With three members of the London Crime Club coming to sudden and violent ends, what at first appeared to be a series of suicides looks suspiciously like murder – and there seems to be something horribly familiar about the various methods of despatch. Whether to file this in the collection section of this website, or the novel section…? I decided on the latter because I feel it reads as a novel, with a cast of characters common to each of the four sections, common themes, and an over-arching storyline not apparent in the individual novellas as they came out over a period of years. Anyway, whether you view it as a fix-up novel or a collection of novellas, it’s one of my favourite books. On the backwater colony world of Chalcedony, Delta Pavonis, all is not what it seems… All David Conway wants after the death of his daughter and the break-up of his marriage is a quiet life away from Earth – and when he comes to Chalcedony he thinks he’s found that. 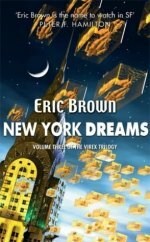 What he dies find is a group of people whose friendship will change his life forever, as well as a haunted starship, extraterrestrials with an uncanny ability to read future events, and a conflict between alien races that has lasted for millennia… and is about to begin all over again. From the blurb: Two hundred years ago, humankind came to the Helix aboard a great colony ship, and the Builders conferred on them the mantle of peacekeepers. For that long, peace had reigned on the Helix. 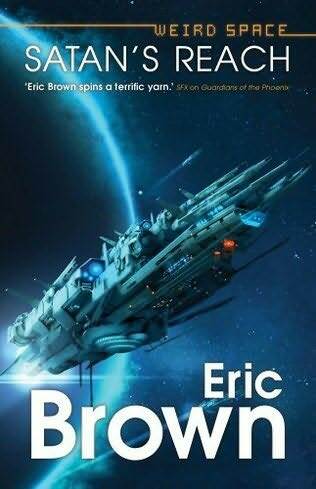 But when Shuttle pilot Jeff Ellis crash-lands on the world of Phandra, he interrupts a barbarous invasion from the neighbouring Sporelli, who are now racing to catch and exterminate Ellis before he can return to New Earth and inform the peacekeepers. The Devil’s Nebula is the first book in a thrilling space opera series, Weird Space. 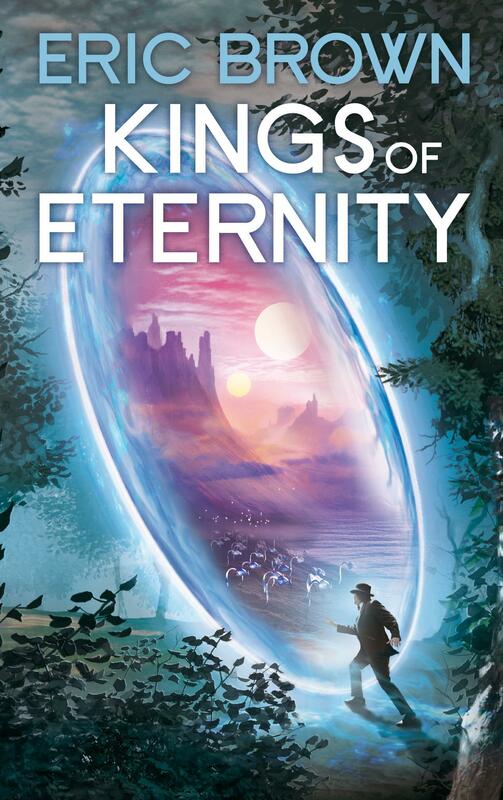 I began Kings over ten years ago, first as a short story that appeared in SF Age in the US, and then as the full-blown novel. There were a lot of nascent ideas in the story that I wanted to explore at greater length. (A few years later I excerpted a section of the novel, and it appeared as a thirty thousand word novella in Interzone). The novel shuttles between 1999 Greece, where successful but reclusive Daniel Langham lives and works on the island of Kallithea, and 1935 London and Buckinghamshire. In the latter, writers Jonathon Langham and Edward Vaughan are summoned to the country house of Jasper Carnegie, to witness an event that will change their lives for ever. Kings… is a scientific romance in every sense of the phrase, a novel that explores the interface between the fantastic and the everyday, and the ideas of immortality and good and evil. I’d like to think that the novel works as a gripping adventure and a study of a reclusive character in search of redemption. This is the first post-apocalypse novel I’ve written, a post-Global Warming action-adventure novel set sixty years after the breakdown of civilisation. For ten years Paul has scrabbled for survival among the sand-shrouded ruins of the once great city of Paris. The seas have dried up, deserts cover much of the Earth’s surface, and humanity has been all but annihilated by droughts and the nuclear and biological conflicts that followed the great Breakdown. Desperate bands of humans still survive. Some scrape a living in the remains of shattered cities; others resort to murder and cannibalism. When Paul is rescued from one such group, he joins his benefactors on their south in search of water and salvation. 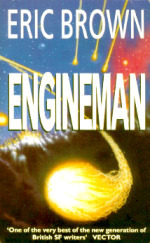 The Enginemen are history. Once they pushed bigships through the cobalt glory of the Nada-Continuum. But faster than light isn’t fast enough anymore. The interfaces of the Keilor-Vincicoff Organisation bring planets light years distant a simple step away. Then a man with half a face offers ex-engineman Ralph Mirren the chance to escape his ruined life and push a ship to an undisclosed destination. The Nada-Continuum holds the key to Ralph’s future. What he cannot anticipate is its universal importance – nor the mystery awaiting him on the distant colony world. 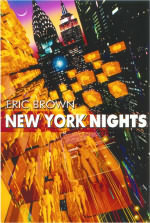 This revised version of the 1994 novel includes a new chapter (Chapter Twenty-Five), as well as nine stories set in the Engineman universe, including the Interzone award winning “The Time-Lapsed Man”. 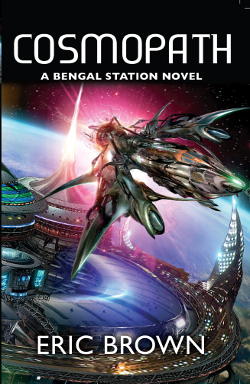 Cosmopath brings the Bengal Station trilogy to a close. What I wanted to do in these books, apart from tell a series of action adventures set on an exotic location – fusing Thai and Indian culture – was to show a man gripped by despair and how, over time, he comes to leave that despair behind him and learns to love life. Cosmopath follows Jeff Vaughan as he leaves Earth for the unexplored world of Delta Cephei VII, where he is hired to read the mind of a spacer. The only problem is that the spacer is dead. 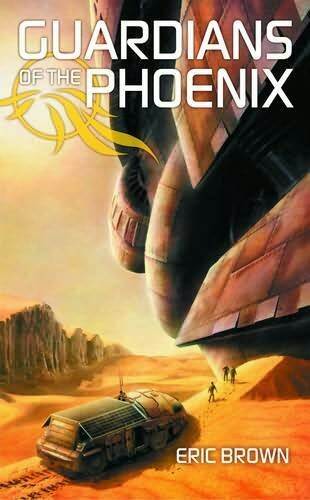 What follows is a fast-paced story of intrigue as Vaughan ventures beneath the surface of the planet and learns that not only has it been colonised by humans, but that the colonists have discovered a mysterious alien race. 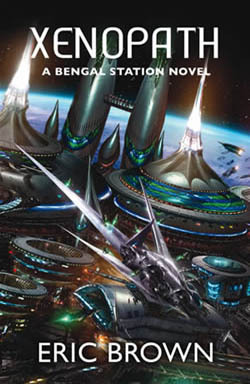 Book two of the Bengal Station Trilogy, Xenopath, is set two years after the first volume, Necropath. Vaughan is a happy man, married to Sukara and with a child on the way. Working for a telepathic detective agency, Vaughan investigates a series of murders linked to the colony world of Mallory, and the slaughter of innocent aliens there by the Scheering-Lassiter colonial organisation. But not only does the investigation put his own life in danger, but back on Bengal Station Sukara’s life is threatened too. 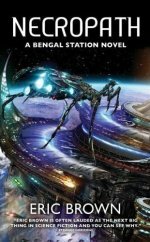 Necropath, book one of the Bengal Station trilogy: Jeff Vaughan, jaded telepath, employed by the spaceport authorities on Bengal Station, discovers a sinister cult that worships a mysterious alien god. The Church of the Adoration of the Chosen One uses drugs to commune with the Ultimate – and murder to silence those who oppose their beliefs. The story follows Vaughan as his mistrust of his fellow humans is overturned by his love for the Thai street-girl Sukara, as he attempts to solve the murders and save himself from the psychopath out to kill him. In Necropath and the following Bengal books I wanted to write about a man in despair, and how he gradually finds redemption. The books follow the cases he deals with, on Earth and on a series of colony worlds, and how these effect his relationship with Sukara and his fellow men. 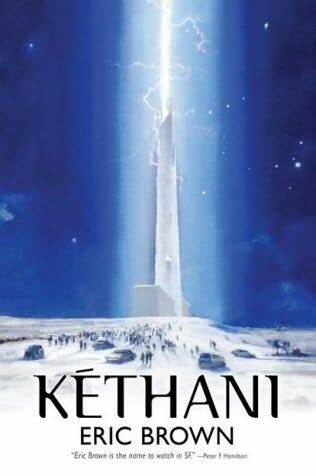 Kéthani is a mosaic, or fix-up, novel featuring a group of friends living in a near future West Yorkshire. When an alien race called the Kéthani come to Earth, offering immortality to those who want it, the dilemma that faces humanity is whether or not to take up the enigmatic gift. The episodes follow the group of friends over a period of twenty years, as their lives, and those of everyone on Earth, are changed forever. The novel explores the consequences, moral, cultural and religious, of accepting immortality – or not. 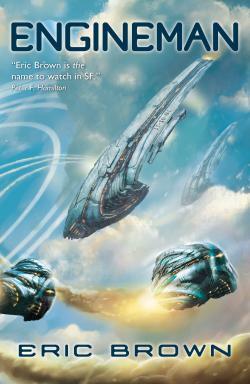 Planet Earth is dying, and the only hope for the survival of humankind is the colony starship Lovelock. Five hundred years into its mission to discover a habitable, Earth-like planet, the ship crashlands on an inimical, frozen planet. 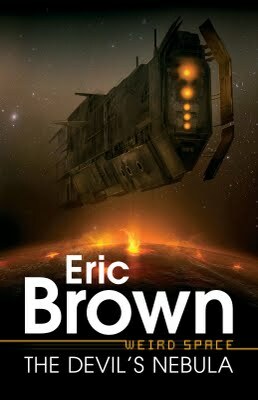 When dawn comes, the crew discover that they’re on the bottom tier of a vast, artificial spiral… On their expedition up-spiral in search of a habitable world to colonise, they encounter extraordinary landscapes and alien races, and attempt to solve the mystery that surrounds the origin of the Helix. A fast-paced action adventure combing old-fashioned sense of wonder and a cast of believable characters in an epic battle of survival. Jeff Vaughan is a telepath, employed by the spaceport on Bengal Station, a vast twenty-level city-port situated in the Bay of Bengal mid-point between India and Burma. As part of a security team working against terrorists and other undesirables, he reads the minds of visitors to Earth. He wears an augmentation-pin which enhances human thoughts during working hours. The rest of the time, without the pin, he is aware of only low-level emanations, vague emotions. The fact of being a telepath, and privy to the darker side of the human psyche, has made Vaughan cynical and despairing. 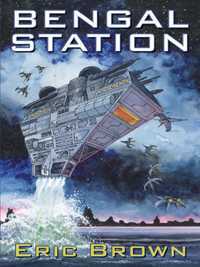 He is addicted to chora, a drug which mutes the mind-noise of his fellow humans.Bengal Station follows Vaughan on the trail of a mysterious religious sect, a serial killer, and a soul-sucking alien life-form secreted on the Station. Vaughan’s mistrust of his fellow humans is over-turned by his love for Thai street-girl Sukara, one of the few pure thing he’s ever encountered in a life of reading greedy, jaded minds. I rewrote, and expanded, Bengal Station as Necropath. 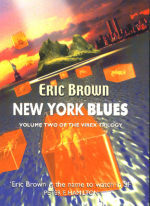 The second book in the Virex trilogy finds private detective Hal Halliday trying to trace the missing sister of VR-Star Vanessa Artois. The New York of 2040 is a seedy, run-down place where VR is fast becoming an antidote to the pollution and hopelessness of everyday life. The novel follows Hal’s descent, after the death of his sidekick Barney, into depression as he discovers more about the depraved, manipulative megalomania of VR-mogul Sergio Mantoni. The first novel in the Virex trilogy features Hal Halliday and Barney Kluger, private detectives who specialise in missing persons. They are searching for a cyber-scientist who has vanished with information vital to the company she works for, Cyber-Tech. Their investigations plunge them into conflict with a rogue AI as they become increasingly involved in the nascent VR industry. 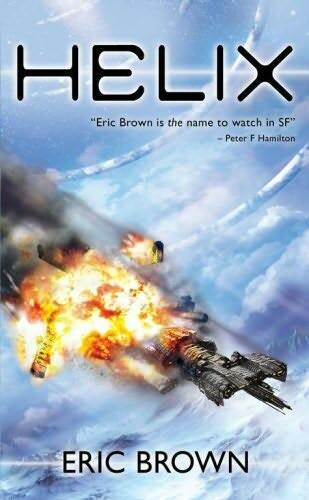 I’d like to think that the Virex trilogy is accessible to people who don’t normally read science fiction. It’s character-oriented, rather than ideas-based, a thriller about people rather than science or technology. 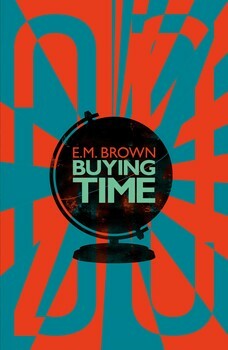 It’s a fast paced, colourful, entertaining novel about how new inventions impact upon society and individuals. 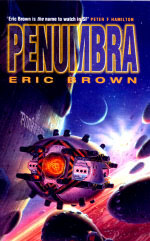 With Penumbra I wanted to write a fast-paced rip-roaring SF space adventure full of starships and aliens and lost colonies, as well as characters the reader would care about. 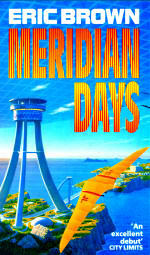 In retrospect I can see many plot similarities in the novel to Penumbra: the jaded pilot, the mysterious saviour, the colony world, and the omnipotent aliens… But I think Engineman a far better book than Penumbra, and it was certainly harder to write, taking me an initial six months to get the first draft down, and then another three months of adding, at my editor’s excellent suggestion, another fifty thousand words. My first novel, heavily influenced by the work of Michael Coney, with a bit of Ballard thrown in for good measure. 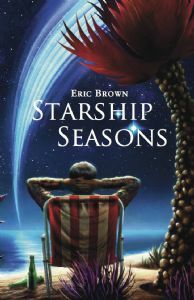 It features a colony world, embittered artists, yet another – or rather the first in a line of – depressed starship pilots, a tragic love affair and a mystery plot.